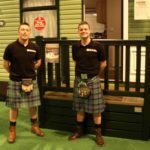 Fensys UPVC plastic decking is a stylish, high specification low maintenance decking solution for holiday home, static caravan and garden decking projects. 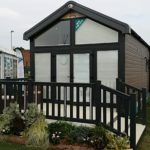 Based in the UK we manufacture UPVC plastic decking and veranda products that complement and enhance the aesthetics of today’s modern holiday caravan and domestic homes. By choosing a colour scheme and style that best suits your property, the UK’s leading manufacturer of UPVC plastic decking products will help you create that perfect outdoor living space. We provide design assistance and have national coverage through our network of professional local installation service providers and distributors. If you have any questions about our UPVC plastic fencing, decking or gates, call us on +44(0)121 526 4048 or use one of the links below and a member of our team will be more than happy to help with your requirements. For a free no obligation quote FREE QUOTATION. To request a copy of our 2019 brochure FREE BROCHURE. BSI ISO 9001 (management system standard) accreditation. Enjoy over 35 years of PAL Group knowledge merged with the vast experience of the international BSI team. 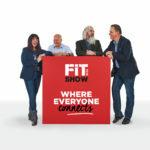 Our accreditation means you can expect a company driven by best practice, leading product and systems development, active staff development and a robust focus on continual improvement. PAL Group Ltd (registered no. 08799126), PAL Estate Ltd (registered no. 07685275), PAL Group (Operations) Ltd (registered no. 01511634) and PAL Adhesive Products Ltd (registered no. 01511633) are companies registered in England with their registered offices at Darlaston Road, Wednesbury, West Midlands, WS10 7TN. PAL Extrusions, PAL Glazing Products, Fensys and Geoplas Profiles are all trading divisions of PAL Group (Operations) Ltd.